I grew up in Holland on a tulip farm. My father and six of his brothers are tulip farmers. They are from a generation of farmers who were taught (by universities and chemical companies) to farm with chemicals. I can imagine that my father’s generation felt blessed, at the time, by the “solutions” chemical companies introduced to them. Weed killers, fungicides, and insecticides made farming a lot easier. Until three years ago, I also thought that growing with chemicals was “normal” and that it was the only way to farm. I can say now that I was quite brainwashed and did not realize the dangers of pesticides. Luckily, three years ago, I met a few people who helped me discover a new way of thinking. The first person was my wife, Keriann, who taught me about green living. 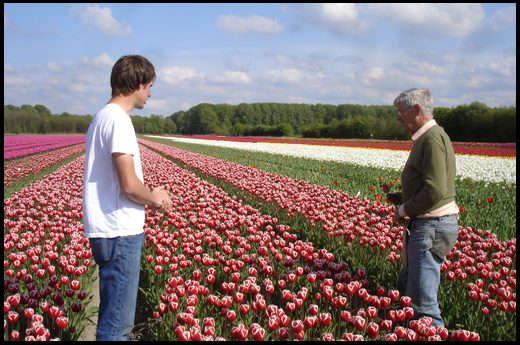 Then, in April 2009, I met Wilbrord Braakman, who has been an organic flower bulb farmer since 1991. I remember that as I drove to his tulip field in Holland, I was quite skeptical—I did not expect to see quality tulips. Boy, was I wrong. I was blown away by the beautiful tulips he was growing. There were no weeds and no fungus, and his tulip fields were amazingly healthy! From that moment on, I knew: THE FLOWER BULB INDUSTRY NEEDS CHANGE! America imports about 800 million flower bulbs from Holland every year; and before now, none of them were organic. That is why Keriann and I started EcoTulips. We are the only source for organic flower bulbs in the country, and we import the bulbs from small USDA-certified organic growers in Holland. My goal is to bring positive change to the bulb industry. Why aren’t there more organic flower farmers? I know that most farmers are nature lovers and they are all potential organic farmers; they are happy seeing zooming bees and hearing whistling birds during their many hours working in their fields. So, you might ask yourself: Why do they use these chemicals, which are damaging to our ecosystem? There are several reasons. The main reason is the lack of demand for organic bulbs. 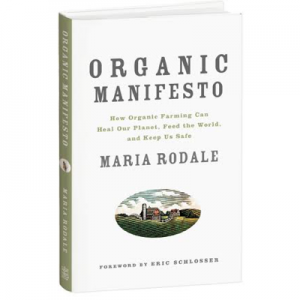 Without a strong consumer demand, it is financially difficult for small to midsize farmers to survive or make the transition to organic. Another reason is that farmers are led to believe, by chemical companies, that the chemicals they put on their fields aren’t harmful. We have to think of our fields, whether they grow food or flowers, as part of a larger system—a system that includes friendly pollinators like bees, wasps, flies, butterflies, hummingbirds, moths, some beetles, and other beneficial creatures. And when we use chemicals on our fields, we interfere with these creatures and their ability to do the work they were meant to do. We are seeing the effects of chemical farming on bees around the world as hive collapse spreads. I know there are many reasons for hive collapse, but chemical exposure is most definitely one of them. Choosing chemically raised plants, even when they’re not food, only helps support a system of toxic farming that has negative impacts on our entire ecosystem. I’m not writing this piece as an advertisement for my business. Rather, I truly believe that education is the only way things will change, and I hope that the more people demand organic, even when it’s not food, the more likely it is that the rest of the bulb and flower industry will change. And the fewer chemicals we put on our fields, the happier and healthier we all will be. 1) Always wear gloves when handling the bulbs (and make sure that little helpers who can’t seem to keep their hands out of their mouths also wear gloves). 2) Wash your tools before using them in your vegetable garden. 3) Plant conventional bulbs far away from edible plants and herbs. 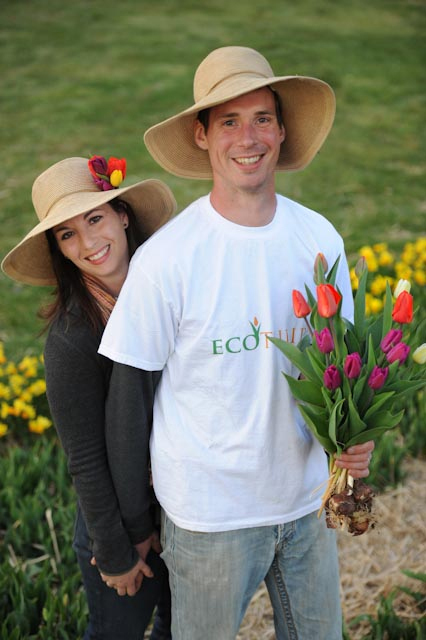 Jeroen Koeman and his wife, Keriann, founded EcoTulips in 2009 when they began importing the first organic bulbs. They also host the nation’s only Organic Tulip Festival every spring. Thanks for expanding my awareness on non-food organic products.